Black Anodized. Available for Any Plumbing Situation And Many Custom Applications. AN Adapter side seals on the flare (cone) not the threads. Port Side Seals on O-Ring (included). DO NOT overtorque. 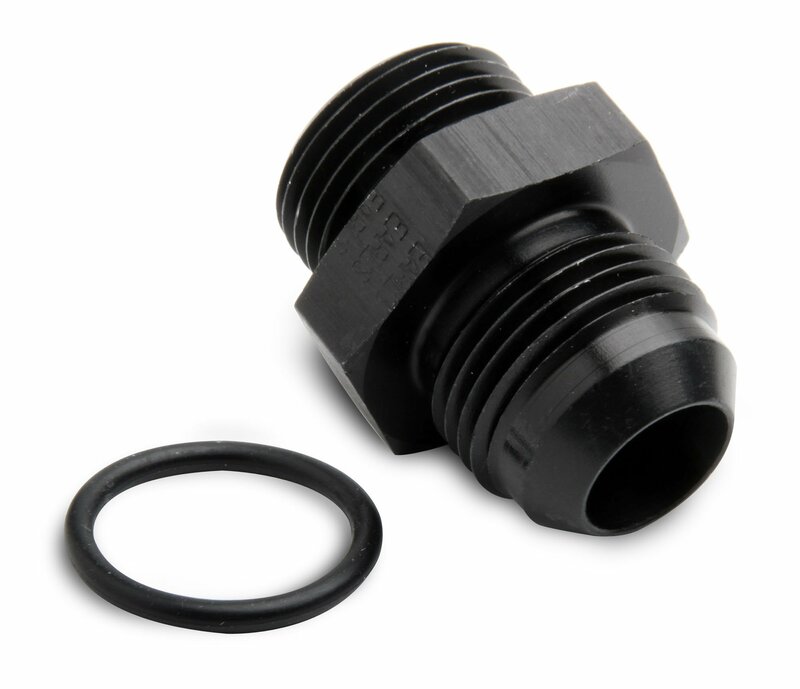 Ideal for use on fuel pumps, fuel filters & regulators that O-Ring Port Fittings.